Dennis became the Artistic Director of the Grand Theatre in the fall of 2016. The move was a coming home for Dennis. Growing up in London, his theatre career began at the Grand with a role in Antler River at age 13. Since arriving in London, Dennis created several new programs: COMPASS New Play Development Program, 100 Schools educational outreach, and 1000 Seats community initiative. Dennis also launched a new partnership with Sheridan College Canadian Music Theatre Program that now positions the Grand’s High School Project for its next phase of development. 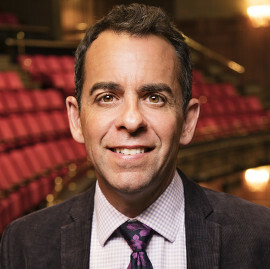 The 17/18 season, Dennis’ inaugural playbill with the Grand, is the biggest season in the theatre’s history; one that doubles the number of actors on stage, features the world premiere of Silence, the North American premiere of Chariots of Fire, and a new adaptation of A Christmas Carol, Dennis’ directing debut at the Grand. Dennis has worked across North America, directing plays, musicals and operas at a number of companies, including Vancouver Opera, National Arts Centre, Shaw Festival, Stratford Festival, Tarragon Theatre, Royal Manitoba Theatre Centre, Florida Grand Opera, American Conservancy Theatre (A.C.T. ), Bard on the Beach, Pacific Opera Victoria, Belfry Theatre, and Neptune Theatre. His co-adaptation (with author Cathy Ostlere) of Lost – A Memoir was nominated for a 2012 Governor General’s Literary Award. Prior to the Grand, Dennis was Artistic Director of Theatre Calgary from 2005 to 2016. During his tenure, eight world premieres were developed and staged. Many of these plays have gone on to further productions across Canada and the United States. Dennis has directed nearly 20 productions for Theatre Calgary, including the world premieres of Lost – A Memoir, Beyond Eden and Timothy Findley’s The Wars. His final production at Theatre Calgary which he directed was the world premiere of the musical adaptation of The Little Prince. Deb Harvey has been the Executive Director of the Grand Theatre since January 2000. 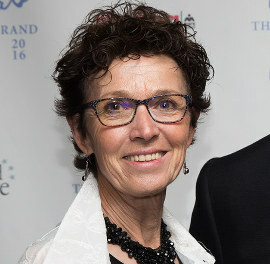 During her tenure, the Grand posted a surplus for 17 consecutive seasons, and evolved as the hub of London’s cultural sector and one of Canada’s foremost regional theatres. Much of that success is attributed to Deb’s key role in championing the arts, growing the Grand’s leadership role in the community, and securing significant increases in operating and capital funding at all levels of government. In her first season as Executive Director, she led a team of corporate and community leaders, and theatre champions in launching a donor initiative that raised $500,000 over six months and solidified the future of the Grand. In the same season, with then Artistic Director Kelly Handerek, Deb was instrumental in securing funding from the municipal Community Arts Investment Program, which contributes $500,000 annually to the Grand Theatre’s operations. Deb continues to be actively engaged in municipal leadership roles, currently serving on the boards of Tourism London and Downtown London. Prior to coming to London, Deb co-founded Genesis Consulting, a firm based in Nova Scotia that works primarily in the arts and culture sectors, offering facilitation and planning services. While working with Genesis, Deb was Interim General Manager with Neptune Theatre and consulted with Regina’s Globe Theatre, Festival Antigonish, and the Atlantic Theatre Festival in Nova Scotia, providing assistance with operational, strategic, and capital planning projects. Before starting Genesis Consulting in 1996, Deb was a Senior High School English teacher and co-wrote a high school text book for English students.